When I saw today’s theme, I was excited. I was excited because I have this graphic that’s just been sitting in my phone for about a week that I haven’t used. I love this quote because to me, strength is endurance. Survival. It is moving forward without regard to struggle. Strength is the will power to choose to live through what could have killed you, emotionally, mentally, or physically. Some attributes of strength is forgiveness, and patience. I think these two things are necessary for anyone looking to tap into strength. 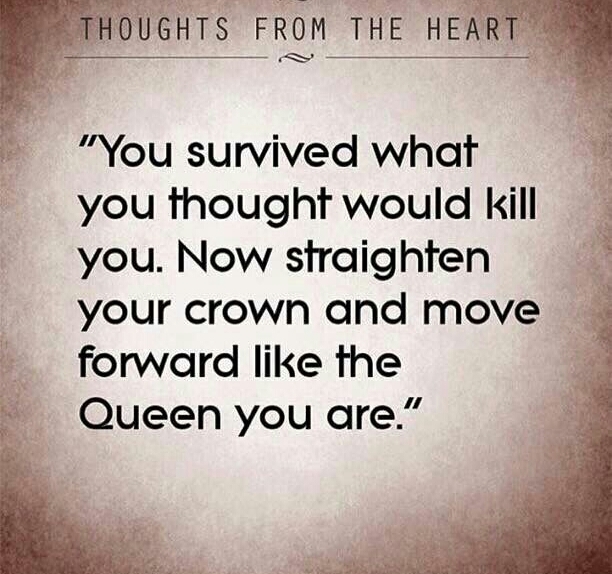 Strength is being taken up by storms, but then afterward straightening your crown and moving forward.